“Religion has done me a lot more harm than good,” Molly angrily proclaimed. 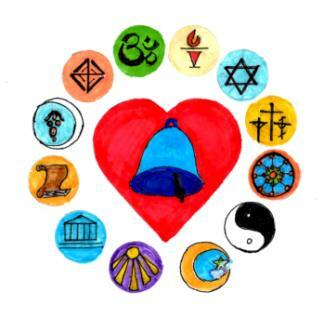 Having worked for years with many ‘buckle of the Bible belt’ individuals, couples and families, and later working with a large number of multi-cultural and bi-religion couples and families, I am well acquainted with religion issue questions. I usually explain that I approach my client’s religion and spiritual issues in counseling as a mental-health professional and not as a theologian or religionist. As both a psychotherapist and a relational therapist I can agree with Molly that I have seen many people more harmed by some religious involvements than benefited. I also can agree with Preston having seen religion be a lifesaver, a great helper in the worst of times, and the most constructive influence in many people’s lives. Sometimes individuals, couples, families and even whole communities are ruined by clashing and destructive religious-based actions, beliefs, judgmentalism, guilt training, and downright sick ways of going about things. Likewise, by way of religion individuals, couples, families and communities often are healed, reconciled, inspired and re-directed toward healthier, richer, fuller lives through religion. So the counseling focus for Molly and Preston, and for so many like them, is a three-part question. Will their religious involvement be more healthful, or more destructive, or will it be the seeming safety of non-involvement? These and other such questions are typical and important explorations. Soon we’re talking about how much healthy, real love (see the entries Love’s Definition series) is in evidence at the church, mosque, synagogue, temple, sacred studies class, prayer group, etc. they are contemplating being a part of? From this mental-health professional’s perspective when considering a religious issue the prime focus is helping clients examine the mental and relational health influence of their religious involvement. The quickest and best way to start on that is to explore the love issue. How much is healthy, real love actively being taught and demonstrated by the practitioners of the religion, or religions, being considered? Likewise, how much anti-healthy, real love teachings and actions are evident in the religious involvement being considered? Also we look into, “Are you getting involved in a religious group where the main thrust is doing healthful love, or is their main dynamic sort of like a game of ‘we are OK, and everyone else is not OK’?” Could you be in a religion, or subgroup of a religion, which is just a mutual support group for arrogance and safe, social conformity? Often essential is an answer to this question: As you understand it and discover it, do the religious teachings, scriptures, educational efforts and practices of the religion’s leaders truly exemplify healthy, real love? Some religious leaders are good at ‘fake love’ so this is sometimes hard to discern. Is the religion and are the people of the religion love-centered or more centered in status, money, fear, guilt, control or what? Yes, the first issue to look at, as I see it, has to do with ‘how goes the love’ in the religion and its practitioners. If the people practicing a religion are not sufficiently about love I have grave doubts about how mentally healthy your experience with them and their ways might be. It is unfortunate that, as practiced, some religionists are centered on doing non-love and anti-love things. There are those in religion who just are going through the motions and they are pretty much indifferent, lifeless and loveless. Others are ‘exclusivity groups’ primarily protecting each other from the new and the different. A surprising number are primarily about money, and others are about status. Then there are the groups that are principally about hate. From a mental-health point of view they are the worst. Too many others are more about dictatorially telling people what not to do, rather than lovingly suggesting what to do. Those that are truly love-centered and love-active usually can be found doing great love-centered and love-infused good works helping others. Their teachings more often tend to coincide with good mental-health concepts and they are actively assisting people toward compassionate, caring, constructive, loving ways of living. Find and become involved with those groups and you are likely to be much more benefited than harmed. Now, with those thoughts in mind there is a tricky thing to watch out for. Some religious groups do ‘fake love’. This especially is a problem with cults and cult-like groups who practice ‘love bombing’ their candidates for conversion. This means a person new to the religious cult will be hugged, praised, complimented and well treated so as to get that person addicted to the cult. Once they are a convert they will be asked for lots of their time, money, effort, etc. and to make sacrifices for the good of the cult. They also will be pushed toward isolation from ‘unbelievers’ including friends and family, and encouraged to suspend their self-determination and self-directed living. The convert is, in essence, programmed to not function as a mentally healthy adult but rather as an obedient, unquestioning child. Reason, skepticism and what we usually think of mature, adult thinking have to be surrendered to the dogmatic tenants and interpretations of the leadership. Acceptance of the dogma and the leader’s mandates will become primary and real love tertiary at best. All this and much more were part of Molly and Preston’s discussions concerning religion. Then Preston asked Molly if she would do him a big love-favor by going to some different religious services, reading different religious material, experimentally engage in some different religious rituals, and be around some different religious groups. He explained he would like these things to be done so as to jointly get some real experience with religion beyond discussion. Molly gave this a fair amount of thought and then said she would, if he would endure (out of love for her), any and all doubt, criticism, skepticism and irreverence she might manifest. She did, however, promise to be publicly polite and respectful. Preston agreed. Before they went exploring, however, they made a list of what they thought would be the criteria of a mentally healthy religion which is centered in healthy, real love. They drew up a list of their own questions and actually were having fun doing this together. Previously they had been very stuck and only able to destructively argue with one another concerning religion. Molly said she was going about this exploration like a scientist and pronounced her hypothesis which was that they would never find a religion that would be sufficiently mentally healthy and sufficiently love-centered. However, she promised to be open minded and to really look at the evidence. Preston then made his hypothesis which was that they would find at least one, and probably several, religious groups that were mentally healthy and love-centered, and that their involvement in one or more of them would do them a world of good. Then as a fully loving, good-natured couple they went out to explore and see what they could jointly discover. Hopefully you and your loved ones can do as well if needed. Grow and Go with Love, as always! 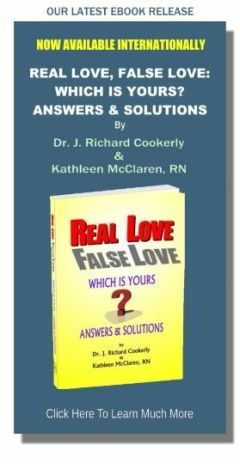 ♥ Love Success Question Might it be healthful for you to analyze what role religion has played in your own mental health and in your ability to love and be loved? The greatest problem today is, that more and more people are falling into the religious or polititical imitative production line of mind control, instead of believing that you are unique and that you are the only one that can contol your heart and mind, by believing in yourself. Your conquering power lies within you to be whatever you want to be, and NOT what others want you to be. Your positive force must be a lot stronger than your negagative force, and the first step to achieve this, is to get rid of all fear that dominates your life. Love yourelf for who and what you are and not on what others think who and what you are. Believe in yourself and believe in the power you have within yourself to make the world a better place. Religion or politics cannot do this for you, it must come from that built in power of love within you. Never allow yourself to become an imitative religious or political robot, stay unique and original. Live your dreams and not your fears, that is what you were born for. Religion and politics have always got it right to play mind games with people and it can never be disputed they have messed up this world big time. There are 7 true steps to love and happiness, which fits the uniqueness of each individual, and by following these steps, the flame of love, health and happiness will never be quenched. It is like a marriage, which is not a two way street as so many today believe, but it is a one direction, one way street of 100% commitment, dedication, trust, honesty, cooperation, happiness, enjoyment, freedom, love, care and compassion from both husband and wife. The 7 steps to light the flame of perfect love is the sure thing with great results. Imitation and robot free, with great victory.